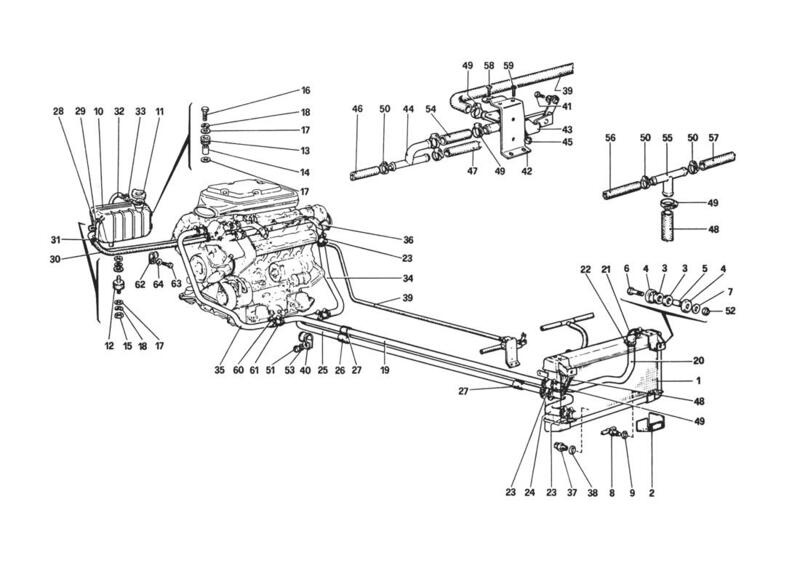 Ferrari 308GTB/GTS COOLING SYSTEM - Ricambi America, Inc. Location: 19 Prev | Next Part: 108082 *Qty: 1 Tubo centrale per mandata al rad. Location: 19 Prev | Next Part: 108081 *Qty: 1 Tubo centrale per mandata al rad. Location: 20 Prev | Next Part: 109369 *Qty: 1 Tubo anteriore per mandata al rad. Location: 20 Prev | Next Part: 109503 *Qty: 1 Tubo anteriore per mandata al rad. Location: 34 Prev | Next Part: 107466 *Qty: 1 Tubo posteriore Sx. Location: 34 Prev | Next Part: 106690 *Qty: 1 Tubo posteriore Sx. Location: 47 Prev | Next Part: 110562 *Qty: 1 Tubo al riscaldatore Sx. Location: 47 Prev | Next Part: 110561 *Qty: 1 Tubo al riscaldatore Sx.